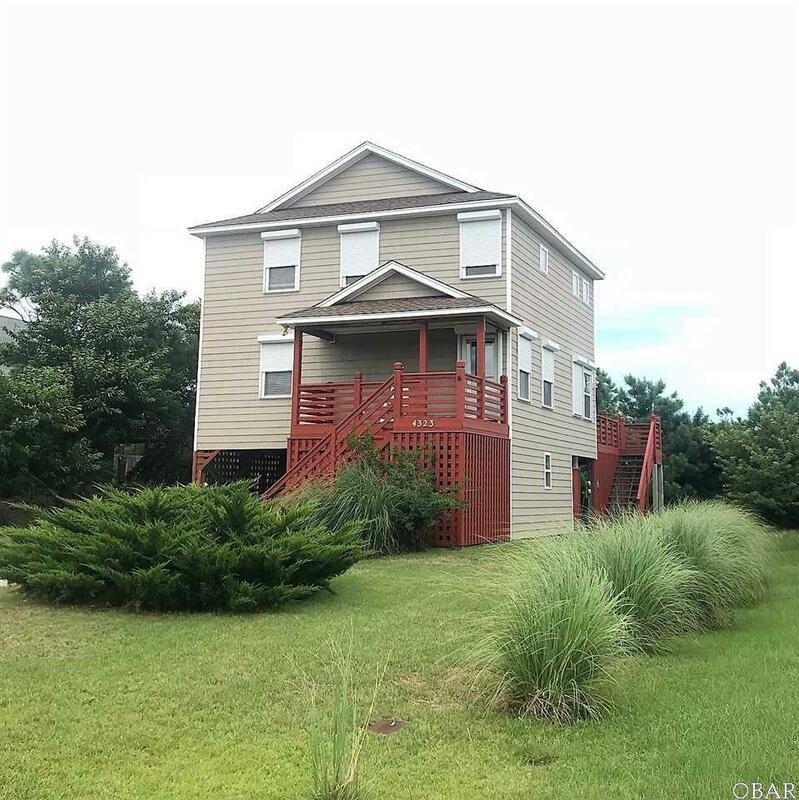 4323 W Barracuda Dr, Nags Head- Well maintained 4bd/4bth house for sale in Old Nags Head Cove. 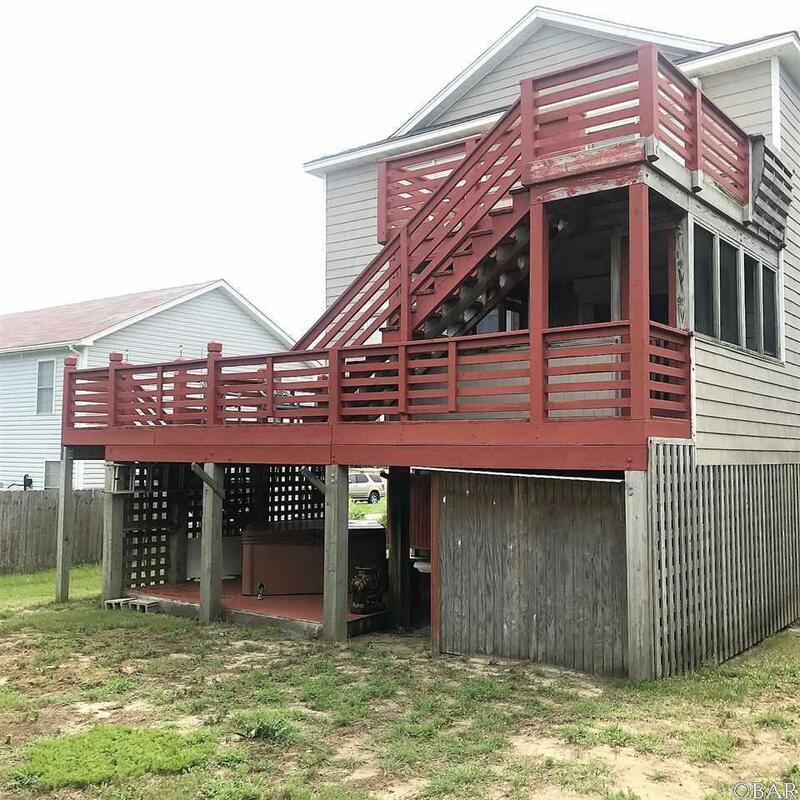 This Nags Head house has so much to offer with a great floor plan and move in ready condition. The first floor has an open living/dining area, large kitchen with access to the screened porch and deck. There is also a bedroom and bathroom on this floor for one level living. 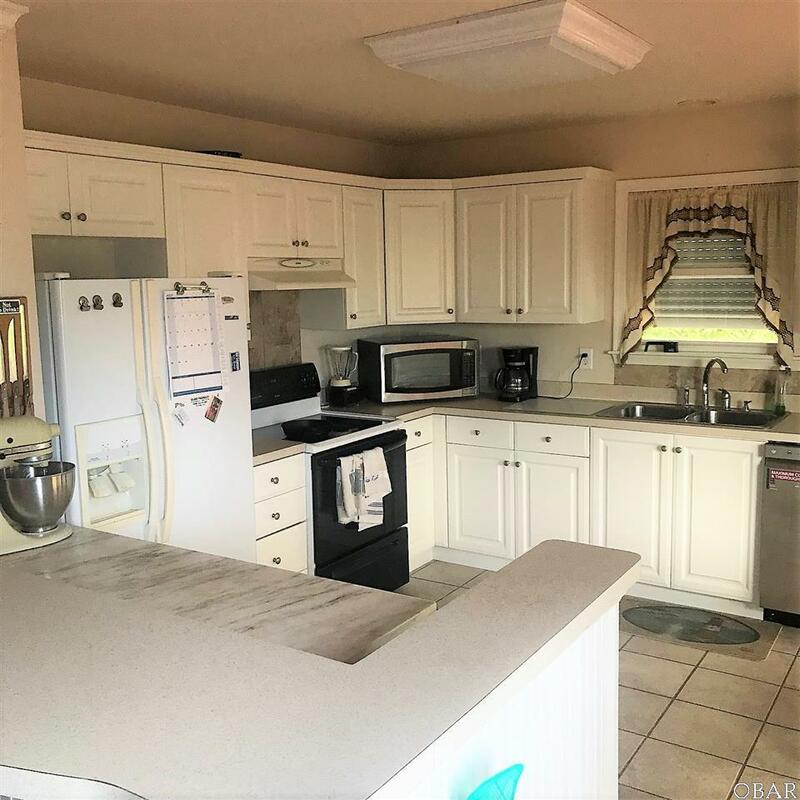 The top floor has 3 bedrooms and 2 full bathrooms. Separate from the first and 2nd floor the ground level has an additional heated bonus room with full bath with that could be used for extra guests, storage, or rental. The washer/dryer is located on the ground level in a separate laundry room. Relax in the hot tub after a long day and rinse off in the outside shower after a day at the beach. There is also a storage shed for additional space to store your beach or yard stuff. The house has roll down hurricane shutters, both HVAC units replaced in the last 5 years, septic pumped out 2yrs ago, and the hot tub motor was recently replaced. Old Nags Head Cove has a community boat ramp where you can access the sound, community pool (additional fee required), and clubhouse. 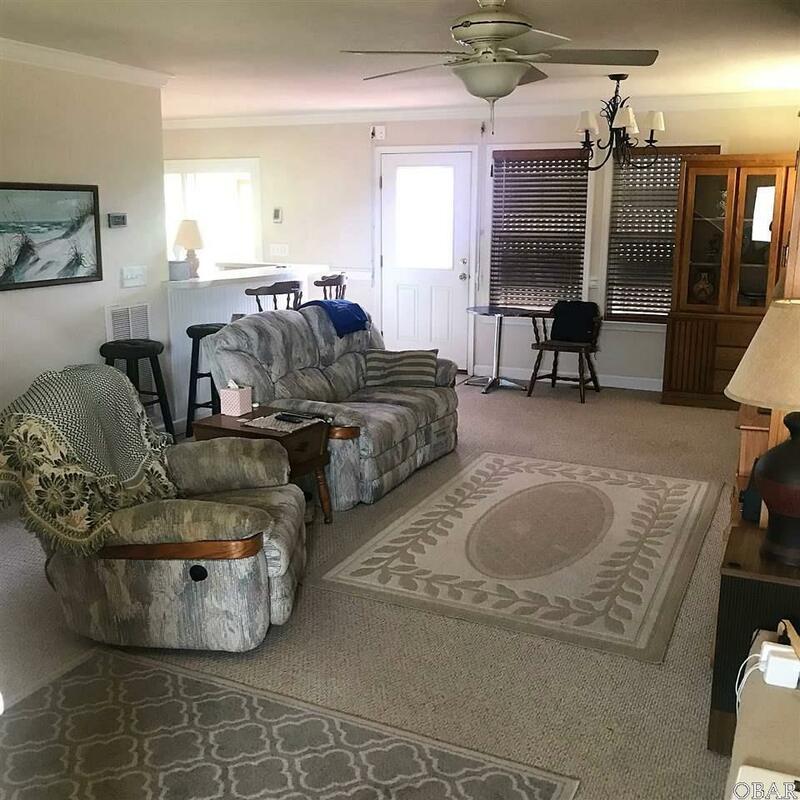 Located within minutes to the beach, shops, restaurants, and area attractions this house for sale in Nags Head will make for a great 2nd home, rental, or primary residence. If you are looking for a home for sale in Nags Head you need to check this one out.